New York City has elected its first ever Asian-American to a citywide office. Democrat John Liu easily defeated Republican challenger Joe Mendola in Tuesday's election for comptroller. Liu won with 76 percent of the vote. Liu's family emigrated from Taiwan when he was a child. He has served on the City Council since 2002, representing parts of Queens. He also was the first Asian-American on the council. Mendola is a lawyer who has not held public office. The comptroller audits city agencies and oversees the municipal pension system. "We look forward to a smooth transition over the coming days and weeks, and we'll hit the ground running with the best qualified professionals in financial management," Liu said in his victory speech. "We are grappling with the biggest budget crisis in decades, and so we have a lot of work ahead of us -- and I'm looking forward to it, to restore fiscal responsibility to the city of New York." 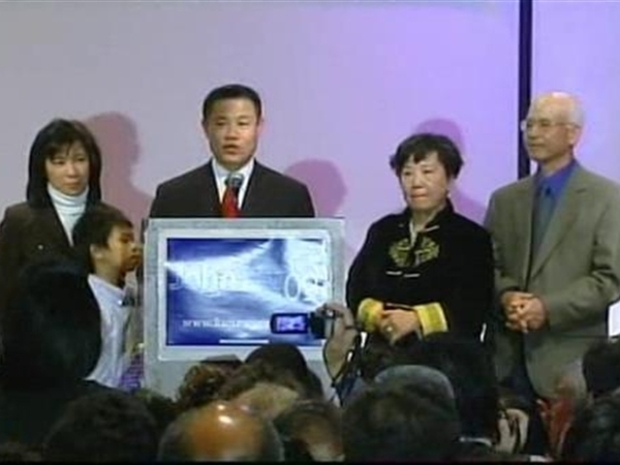 In a landslide election, Queens City Council member John Liu (D-Flushing) was elected as city comptroller and the first Asian-American to win a citywide election.